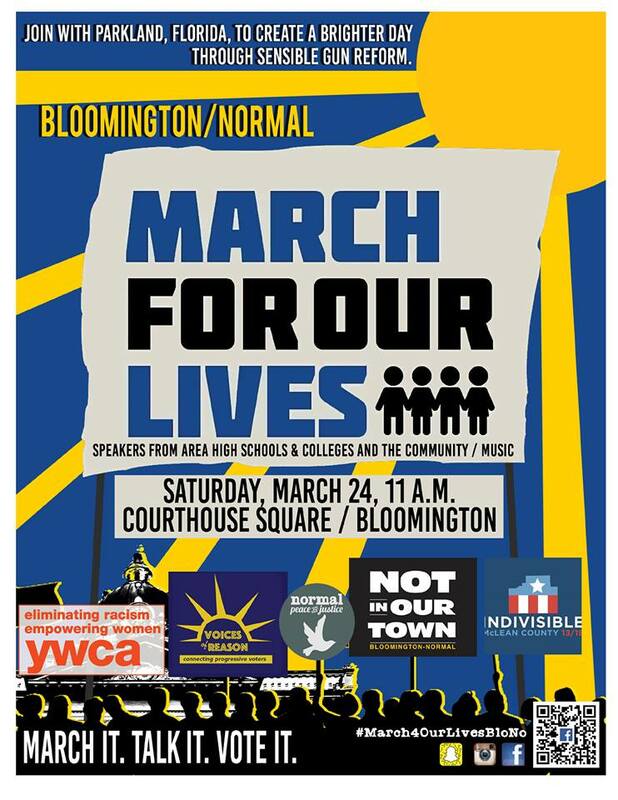 In follow-up to your recent interest or involvement in Not In Our Town Faith & Outreach Committee events, I am writing to personally invite you to participate in Bloomington-Normal’s March For Our Lives event, which is being co-sponsored by NIOT on March 24, 2018. The march begins at 11 a.m. on the steps of the Old Courthouse in Downtown Bloomington and will progress to the steps of the Bloomington Center for the Performing Arts. Our aim is to raise awareness of the need for sensible gun control legislation. While many of the speakers at the event are high school and college students, I have been asked to speak on behalf of community clergy. As you know, faith communities have also been the target of mass shootings in recent years, and, of course, people of all traditions are affected by the senselessness of gun violence in our society. With that in mind, you can show solidarity for our cause by standing alongside me as I speak and by walking arm-in-arm as we march together. If you are able to attend, we invite you to wear robes or other symbols of your role as a faith leader. Whether you are able to attend or not, please share the attached flier and this electronic invite (https://www.facebook.com/events/805935969605344/) as widely as possible, and consider lending us your prophetic voice as you address this issue with your faith communities. Above all, please pray for our safety as well as our success as we march.